This article appeared in the print edition of Club Business International in November 2018. Health clubs are introducing post-exercise programs, equipment, and spaces to protect members and improve performance. Recovery programs and dedicated recovery areas—spaces outfitted with equipment appropriate for post-workout regimens—have long been utilized by professional sports and high-end college athletic programs. The Dallas Cowboys, Kansas City Chiefs, Boston Red Sox, Brooklyn Nets, and the Las Vegas Golden Knights ... and Ohio State University (OSU), in Columbus, OH, and Texas Christian University (TCU), in Fort Worth, TX—take a close look at just about any pro or top-performing college team, and you’ll find that they’re utilizing recovery protocols to great effect. And they have, in fact, been doing so for years. 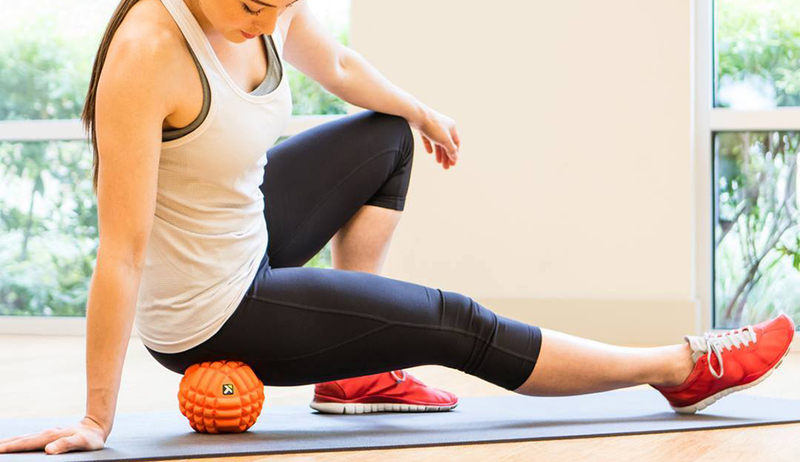 TriggerPoint offers a range of foam rollers. Recovery sessions help athletes prevent future injuries and ensure that they’ll be able to continue performing well. “Elite and college athletes have long known that the workout doesn’t end until the recovery part is complete,” says Mark Murdock, a managing partner of CryoUSA, an IHRSA associate member company based in Dallas. The firm manufactures cryotherapy chambers, equipment commonly employed in recovery zones. Recently, however, recovery concepts and tools have begun to proliferate in health clubs. Chains such as Crunch, UFC Gyms, and Life Time Fitness have launched their own initiatives, and countless other fitness service providers are following in their footsteps. If there’s a significant new trend emerging in the industry today, recovery may well be it. Initially, this development was seen as a direct response to the explosion of interest in high-intensity interval training (HIIT) and the physical stress it places on the body. While recovery clearly has value for HIIT enthusiasts, it was being employed—and was delivering benefits—ages before anyone came up with that acronym. In “Exercise Recovery on the Rise: Is It Part of Your Programming?,” an article that appeared in Certified, a publication of the American Council on Exercise (ACE), Janice Hutton, M.A., a sports performance coach, insists that recovery is a vital training tool in and of itself. “Recovery primes performance,” she explains. “The effectiveness of today’s workout is directly impacted by how we recovered from yesterday’s. I don’t just train a body for 60 minutes and then leave the rest, repair, and recovery to chance. NormaTec's compression sleeves promote post-workout recovery. Though, as Murdock points out, this form of training is broadly applicable, its worth to HIIT practitioners is obvious. Jacque Crockford, MS, CSCS, ACE’s exercise physiology content manager, regards recovery as an integral part of HIIT. “Exercise professionals have long known that the recovery period is when the body heals and actually makes improvements,” she explains. “However, the additional focus on higher intensities has made recovery of increased importance, allowing individuals to continue to take part in the type of activities they enjoy. 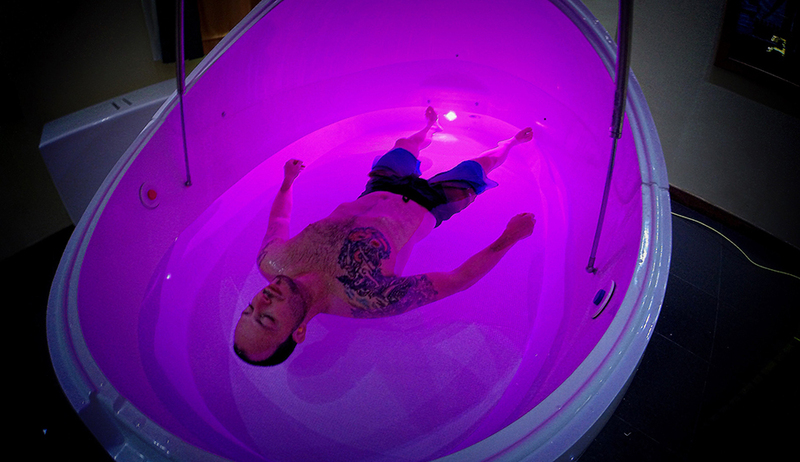 Floating helps boost relaxation and recovery. It’s no surprise that IHRSA-member clubs have been quick to recognize the added value that recovery initiatives provide—for both their business and their members. Club owners, operators, personal trainers, and other fitness professionals are always looking for better ways to do things. In many cases, that means turning to academia, or the healthcare industry, or, as in this case, to sophisticated sports organizations. 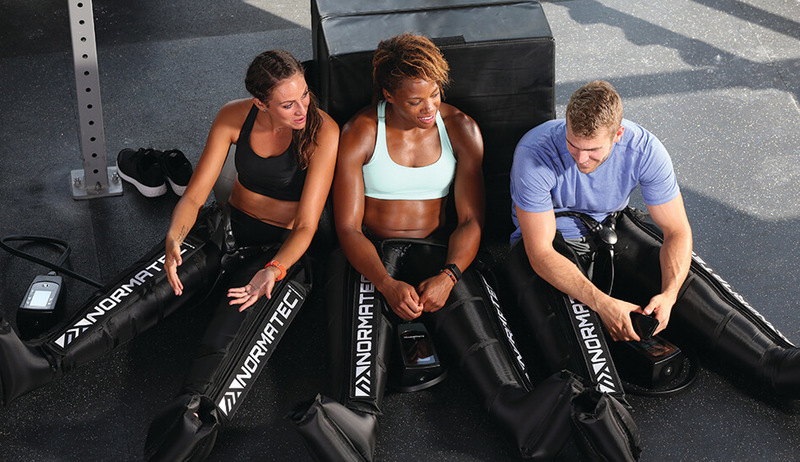 “Clubs are clearly in tune with how pro athletes train, which has now led them to introduce recovery-themed classes and dedicated recovery spaces,” says Gilad Jacobs, the CEO of NormaTec, a recovery system provider based in Watertown, MA, and an IHRSA associate member. There’s a large and growing number of tools that clubs can employ when offering recovery activities. For a complete list of recovery-related products, visit Club Business Exchange. Providing therapeutic recovery services can boost your club’s retention and non-dues revenue. Here’s how. The world of retail has changed dramatically, especially for health clubs. Here’s what’s working today, according to three industry leaders.